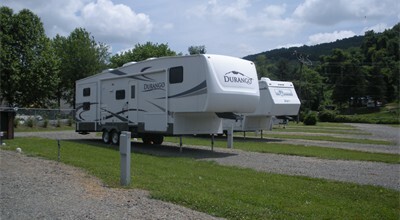 We are located in the heart of Downtown Galax across from Felts Park. 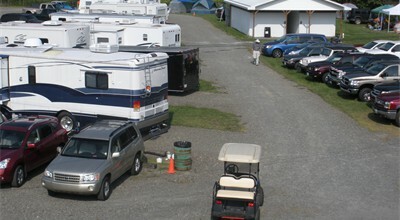 We offer 15 full service sites, primitive tent camping and a bathhouse. Our location is convenient to the New River Trail, the Blue Ridge Parkway, Chestnut Creek School of the Arts and the Rex Theater. 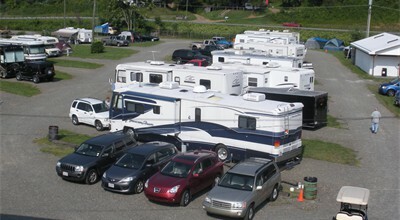 We are also close to a variety of festivals, shows and attractions in the Twin Counties Area. 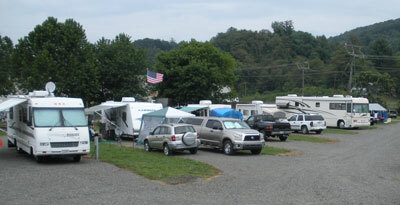 Looking for a great place to park your RV or to camp for the Old Fiddler's Convention? Then we invite you to camp with us. We are just a short walk across the street from the Convention. The Twin Counties area is full of recreational opportunities, beautiful scenery, great climate and easy access to two Interstates and the Blue Ridge Parkway making our area an ideal place for your next vacation or get away. During your stay be sure to visit Old Cranks Motorcar Museum and Ice Cream Shop located on the same property as our RV Park. 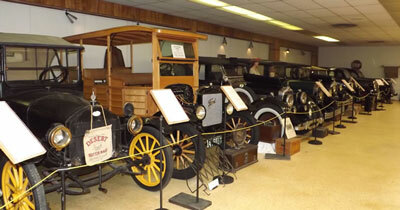 You'll see Vintage Automobiles, showcases full of Auto Memorabilia, Period Clothing, Antique Gas Pumps and much more. While visiting the museum take time to enjoy a scoop of Ice Cream and relax. 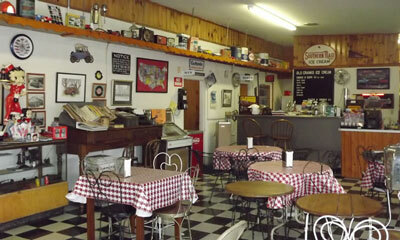 We have the most popular flavors and plenty of seating.